Home → News → Welcome Back, Students! The Library has many resources to make your fall term a success. 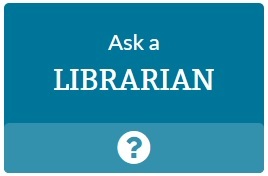 Ask a Librarian if you have any questions! Find building hours on our website. Borrow equipment and technology including mobile device chargers, headphones, graphing calculators, laptops, and iPads from the 1st floor Circulation Desk. Do you need a quiet place to study? The basement, 4th, and 5th floors are designated quiet floors. Study rooms are available throughout the Library for a space to study, practice a presentation, or work on a group project. A special family study room is available for students with children. Reserve a study room online, and check out keys from the 1st floor Circulation Desk. The Library has many textbooks available for checkout. Search the Library Catalog to see if we have your textbook in Reserves, located behind the 1st floor Circulation Desk, or on the shelves. The Library has computer labs on the 1st and 2nd floors. Both labs have PC and Mac computers, wheelchair accessible stations, scanners, and color printers. Research kiosks are located throughout the Library building. Use kiosks to quickly print your paper with web print, search the Library catalog, and access and search Library databases. Get help with your research at the Library Research Center on the 2nd floor. Reference Librarians will assist you with all stages of your research including brainstorming topics, finding articles, citing your sources, and more. You can get research help in person or 24/7 online. The 2nd floor is also home to the Writing Center Outpost and Learning Center. The Writing Center Outpost will help you with your paper at any stage of the writing process from 9 a.m. to noon weekdays, and the Learning Center will help you with tutoring, study skills, and many other services. 10/24/2017 4:00 – 5:30 p.m.
11/1/2017 4:00 – 5:30 p.m.